Winners of Pride of Honiton 2014! 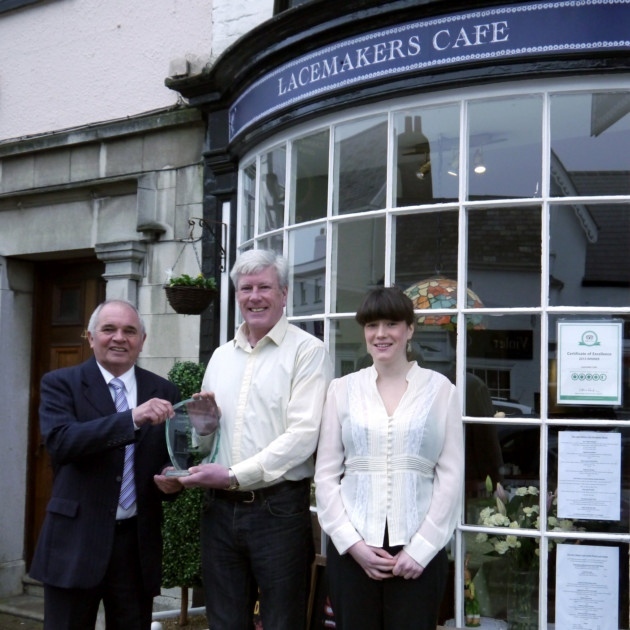 We are delighted to announce that in March 2014, Lacemakers Cafe was recognised for business excellence by the Honiton and District Chamber of Commerce, and were awarded the Pride of Honiton Award! Ray and Fiona Hanratty, of Lacemakers Cafe, receiving the Pride of Honiton Award from the chairman of Honiton and District Chamber of Commerce, Colin Wright. Copyright © 2019 Lacemakers Cafe. All Rights Reserved.